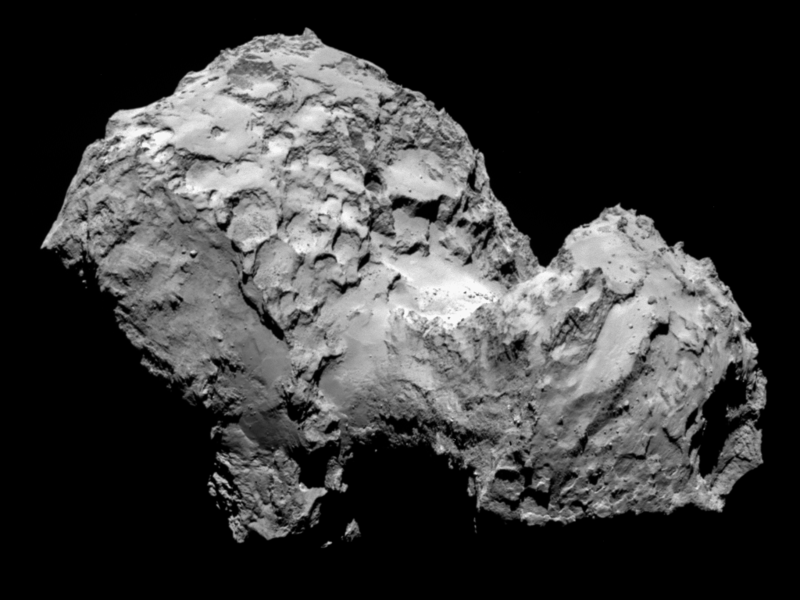 When the Rosetta spacecraft reached comet 67P/Churyumov–Gerasimenko, one of the striking features was its “rubber duck” shape with two distinct lobes. One of the questions it raised was whether the comet had simply eroded in its middle region, or whether it had formed from a low-speed collision. We now know the ducky comet was once two comets. Computer simulations have shown that low-speed collisions between comets can create a single comet similar to 67P, but other models show how comets can erode irregularly to create similar shapes. 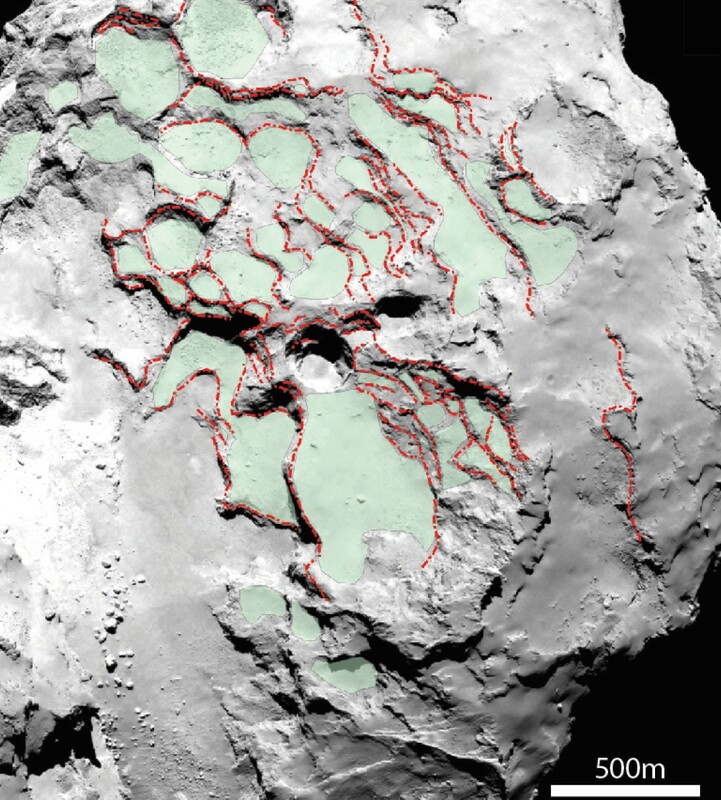 So there has been debate over which process formed 67P. But new work has verified the collision model by looking at the surface gravity of the comet. As a surface of a comet settles within its gravitational field, the surface will tend to be oriented perpendicular to the direction of gravity in the region. Imagine a pile of sand on Earth. It can have high or low points in the sand, but if you jostle it, the sand will tend to level off. Not all surfaces will line up to gravity, but statistically most will. So the team looked at several surface structures on 67P and compared them to the gravitational map to find a statistical correlation between the surface gravity. They then compared the results to two computer models. One where the comet eroded in the center, and one where two comets merged. What they found was that the real 67P agreed with the merged model. So the one comet we’ve actually landed a probe upon was once two.